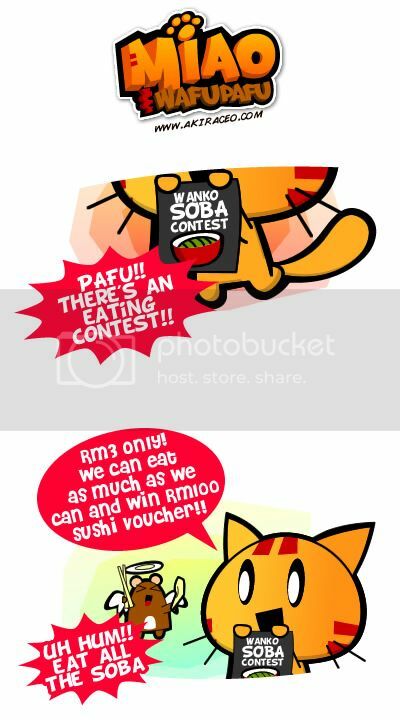 Miao & WafuPafu Comic Blog » Soba Eating Contest!! 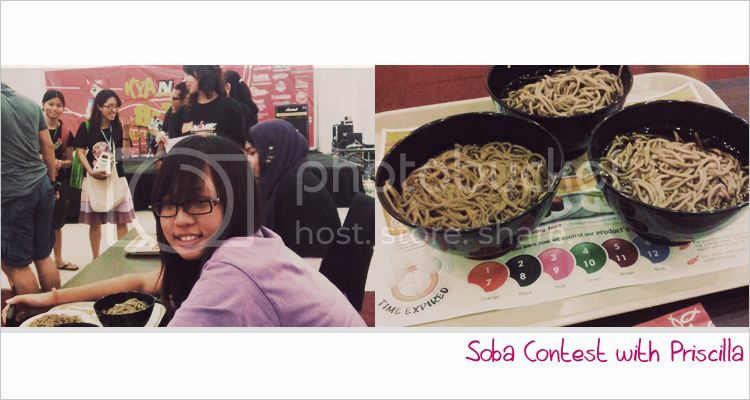 Well, luckily there was this Soba eating competition held at the event. A reader of mine, happened to be working there and she asked me to join her at the contest and I did. I should have brought ingredients to add in the Soba like what Wafu did. 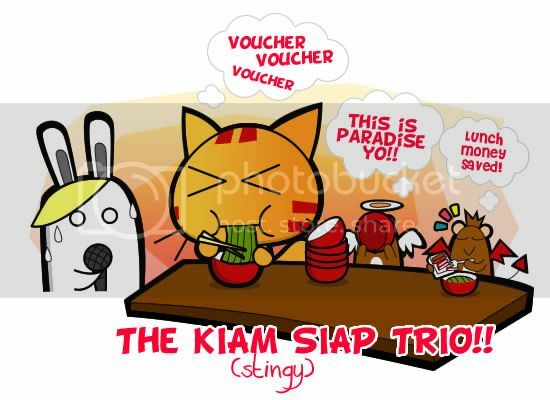 Posted on June 10, 2012 by Jian Akiraceo. 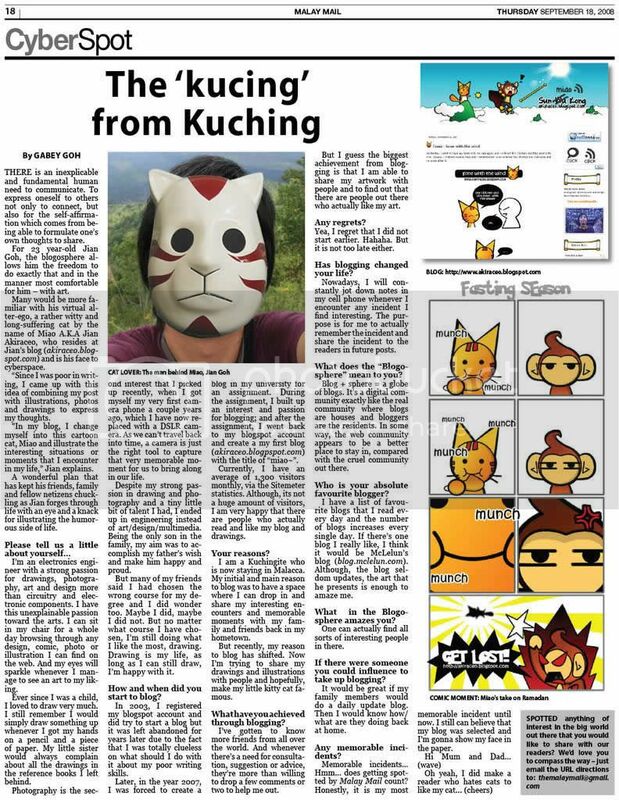 This entry was posted in Outdoor and tagged comic, hills mall kuching, kiam siap trio, kyanime, miao, Pullman hotel kuching, soba eating contest, wafupafu, wanko soba contest. Bookmark the permalink. Like that Miao and Wafu! wah your friend is fast eater! You just enter to eat free lunch? Free to join?? I’ll be there for breakfast, lunch and dinner!!! hahahhahaha.. how does it taste like?.. erk! jian goh.. i have one question..
since wafu and pafu already dead..
is everyone also can see them? 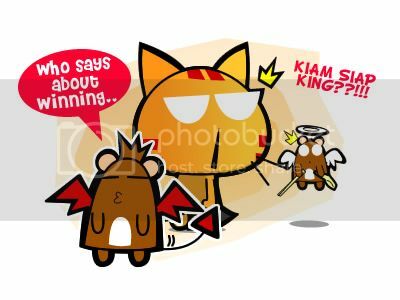 or only miao can see them?